Nextbit is an American Android smartphone manufacturer. Their flagship smartphone, the Nextbit Robin, merges cloud and onboard storage so you can back up and restore all your data at any time. With Big Apple Buddy’s personal shopping service, you can now buy direct from the Nextbit online store anytime, anywhere. 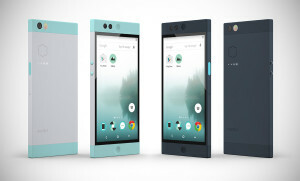 The Nextbit Robin is the Android of the future. It stores your photos, apps, songs, and even stuff you didn't know you had in your phone so you'll never run out of space and will have a back up in case something happens. Have a smart cloud at your fingertips! The Nextbit Robin learns what you use over time and thus stores accordingly and it is also designed for faster OS updates. 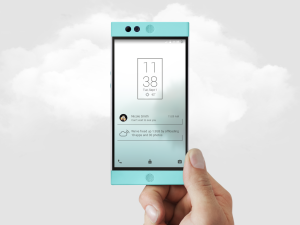 The Nextbit Robin is also very user-friendly! With just one power button that recognizes your fingerprint, you'll no longer have to swipe or remember passwords. It also knows not to waste your data so it syncs your storage only when it's plugged in and using WiFi. You can also customize your Robin by choosing your carrier, unlocking your bootloader, and even loading your custom ROM. Looking to keep your Robin protected? The Nextbit cases keep the phone intact and give you different ways to do so! The first design, Scratches!, is for the lightest protection but shows off your Robin's color with its transparent case. There's also the Bumps! case which covers the sides offering more protection with its unique dotted pattern. Don't forget the Bruises! case for the toughest protection with its all-around rubber material that can take a few hits. Unfortunately, the USA Nextbit online store does not currently offer international shipping. However, Big Apple Buddy, your personal shopper, can help you buy products direct from the official USA Nextbit online store and ship them to your doorstep, no matter where you are in the world. We offer international shipping to over 110 countries including Australia, Austria, Azerbaijan, Bahrain, Belgium, British Virgin Islands, Brunei, Bulgaria, Canada, Chile, Costa Rica, Croatia, Czech Republic, Denmark, Estonia, Fiji, Finland, France, French Polynesia, Germany, Gibraltar, Greece, Greenland, Hong Kong, Hungary, Iceland, Indonesia, Ireland, Israel, Italy, Japan, Jordan, Kuwait, Latvia, Liechtenstein, Lithuania, Luxembourg, Macau, Malaysia, Maldives, Malta, Marshall Islands, Mauritius, Monaco, the Netherlands, Netherland Antilles, New Zealand, Norway, Oman, Poland, Qatar, Romania, San Marino, Saudi Arabia, Serbia and Montenegro, Seychelles, Singapore, Slovak Republic, Slovenia, Spain, South Africa, St. Lucia, Sweden, Switzerland, Taiwan, Thailand, the UAE, the UK, Vatican City, and Vietnam. If you would like to buy from the USA Nextbit online store, simply let us know which items you would like to order (by filling out the form below) and we’ll get back to you with a free international shipping quote within 24 hours!